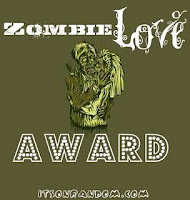 Being Retro: I Get A Nod... from "It's On Random"
So it's a great day, not for many reasons... but for I was chosen to receive the first "Zombie Love" Award from "It's On Random". Thank you, thank you... 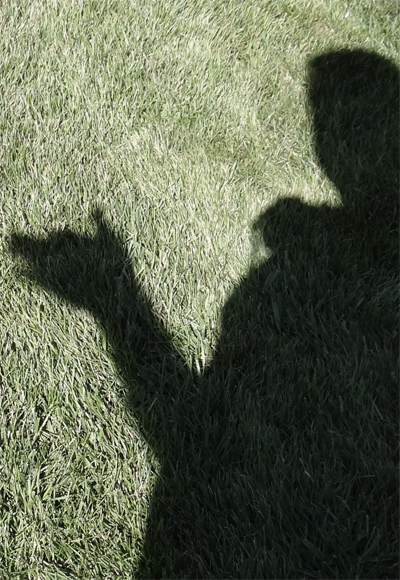 I am honored to be noticed, it's a great feeling when people find joy in what I put up on this little zombie site. Brit is such a great support of this site, I should point out she is crafting some great items over on her site. You should go take a look see if there is something you could get there, and support her cause in the blog world. Off to check out her site. Always happy to help out fellow bloggers. Awww thanks, you deserve it. Just wanted to give you some more spotlight!!!!!! !